With the rise of flat-topped ARs with a mile of rail across them, quick-detach scope mounts have exploded in popularity. Optics and mounts are the areas in firearms where you get what you pay for. The myriad options can be confusing, but follow our guide for the best quick-detach scope mounts available on the market. What is a Quick-Detach (QD) Scope Mount? A quick-detach scope mount allows you to remove the mount and scope from your rifle in an instant, usually with the flip of one or two levers. No tools or fumbling should be necessary and the process should be quick and easy in any situation, whether in combat or wearing thick winter gloves. The key feature of QD mounts is that your scope should return to zero no matter how many times you remove and re-attach it. The levers and other features should also be robust and low-profile. 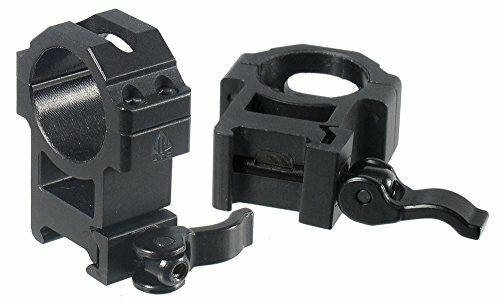 Are Quick-Detach Scope Mounts Universal? 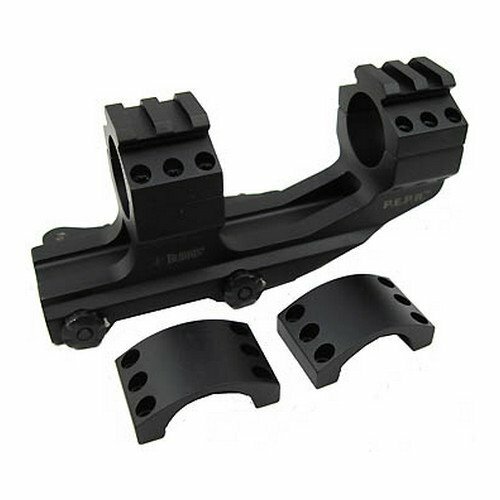 Some QD mounts are designed for use with a particular scope or sight, such as the ACOG. Many manufacturers also optimize their mounts for use with their own scopes, but this doesn't mean they can't be used with other scopes. There are three main limiting factors that determine which QD mounts can be used with which scopes and which rifles. First is the type of rail on the rifle. Most today are Picatinny-style or universal. The rings on a mount will only accept scopes of a specific diameter, usually one inch or 30mm. Finally, you must ensure that the ring spacing will work with your scope. The main function of a QD mount is to easily remove a scope and re-attach it without losing zero. This requires precision machining that is slow and costly. Material selection and design are also crucial considerations. If your QD mount lacks quality in any of these aspects it will fail to return to zero and will be useless as anything but a paperweight. 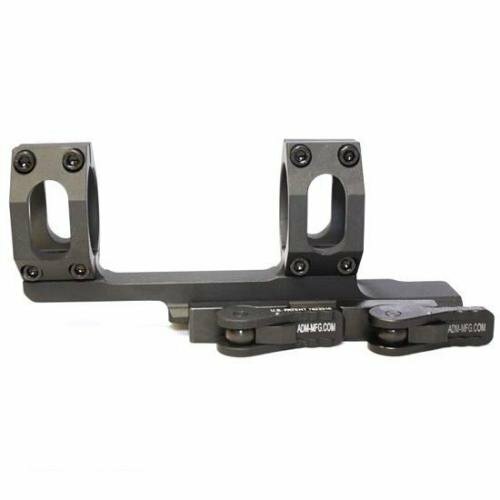 Better quality QD mounts will also have an effective QD lever system. The lever system should be extremely secure and easy to use. Some are more ergonomic than others. Ergonomics must be balanced with a snag-free design. 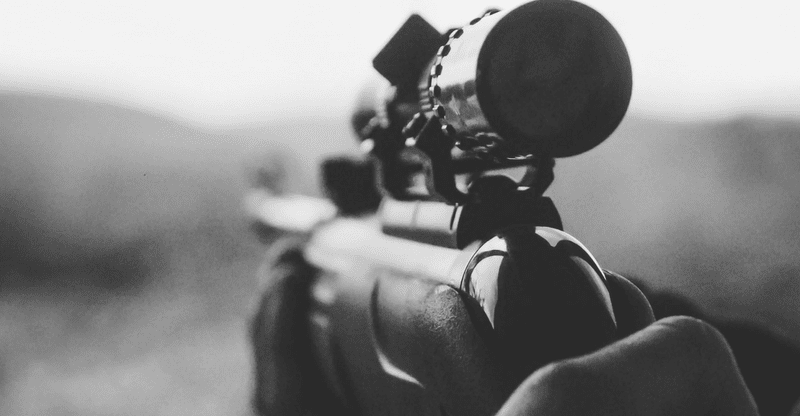 If you catch the lever on anything, your scope could go flying off your rifle at the wrong moment. Another key balance in any QD mount design is between weight and strength. Almost every good QD mount will be made of either steel or high-grade aluminum. Some are skeletonized to reduce weight without compromising strength. There are dozens of choices of QD mounts out there. We've put in the time to find five of the best so you don't have to. Whatever your needs, we've found the QD mount for you. Colorado-based Burris is a big name in the optics world and enjoys a great reputation. This mount may cost a bit more than average, but it addresses quite a few issues so that you don't have to, saving both time and expense. As a single unit, both of the rings are precisely aligned, canceling the need to lap them. The mount grips the scope with six hex bolts per ring. The rings are horizontally-split, which makes mounting the scope a bit easier. The mount attaches to any standard Picatinny or universal rail with two quick-detach levers. Burris' quality of machining lets you detach and re-attach the mount without losing zero, which is quite a feat of manufacturing. This mount is also designed to provide ideal eye relief and a wide field of view. If you need a no-nonsense scope mount for your rifle, this is an excellent choice. Although this mount is imported, Burris design and quality control have overseen the development of a great mount. This unit features too many great design details to cover them all, like the optional ring-top rails or the six-bolt scope clamps. You might even be able to use iron sights through the open space under the rings. Warne is renowned for its top-quality optics solutions. As such, these QD rings are no joke. First, the vertically-split design gives a better all-around grip on the scope and helps to get the rings into the ideal alignment. The scope attaches with four bolts per ring. The rings are made of steel and both include a rectangular steel recoil key to maximize contact with the rail slot. This keeps your scope on zero no matter how severe the recoil or shock the rings face. You can mount the rings in either direction, with the QD levers either on the right or on the left side of the gun. The levers rotate clockwise until secure, and only need to be finger-tight to hold fast. Once the rings are secure, you can pull the levers out to rotate them to the desired position. This keeps everything looking aesthetically uniform but also helps to avoid snagging. Warne guarantees that these rings will return the scope to zero. These Warne rings are an unbeatable option at a great price. Reliability and shooter satisfaction is practically unparalleled. Every thought has gone into making these the best possible rings. The warranty is good, but we're confident you'll never have to use it. Nikon is a perfect companion whether you're going into the heart of Africa to shoot photographs or a cape buffalo. In both fields, their optics have an outstanding reputation for durability. Strictly speaking, these are not quick-detach rings, but if you can keep an Allen key handy, they come off pretty fast. They are designed specifically for the Picatinny rail atop most ARs. Their cantilevered design gives you plenty of room to adjust for your desired eye relief or for the non-standard length of your scope. They are specifically designed to allow scopes with one-inch tubes to clear an AR's charging handle while giving you the ideal height off the bore. Although they are made of a tough alloy, these are the lightest among the mounting options on our list. Part of this is achieved by using a two-bolt horizontally-split ring design. These rings are made in the U.S.A. and are supported up by Nikon's warranty and great customer service. 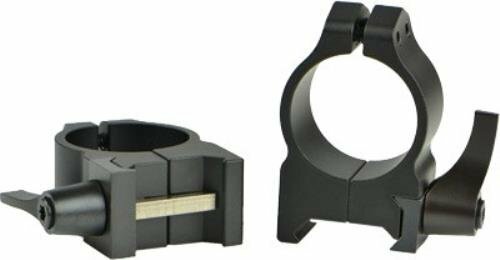 If you are an avid AR shooter and you want the lightest, most stable scope rings that are easy, if not quick to detach, these rings are for you. Although they are designed for ARs, they will work with most other guns with a Picatinny rail. Plus, you have the great customer support and reputation of Nikon to fall back on. This set of rings offers great value for the money while ticking all the boxes. They are built out of both steel and aluminum components. To keep weight down, the rings feature skeletonization in both the area below the ring and in the top strap. Not only does this produce an exceptionally light pair of scope rings, but it also looks cool. They are designed to mount a scope with a 30mm tube to either a Weaver or a Picatinny rail. The scope is secured with four bolts per ring, in an easy-to-mount horizontally-split configuration. The contact surfaces of the rings are coated in a high-grade, synthetic protective material. The tension of the quick detach levers can be adjusted with an Allen key to ensure a proper hold and the ability to re-zero. Even if you intend to use these rings on a rifle other than an AR, they are some of the best low-cost rings with the best machining specifications available today. They are guaranteed against defects in manufacturing. These rings tick a lot of boxes at a great price point. The top features are the adjustable levers and the low weight. Although they are a bit heavier than the Nikon rings above, they have the benefit of securing the scope with four bolts per ring. This is another great single-piece yet lightweight scope mount designed specifically for the AR-15. The low weight is down to the use of precision-machined high-grade aluminum. Each ring is skeletonized around the sides to further reduce weight. The rings are vertically aligned and secure the scope with four bolts each. These features guarantee the best grip and alignment you can get, although it makes mounting the scope a bit more difficult. American defense uses its own proprietary quick-detach lever system. This system is designed to work with even with rails that do not meet the standard specifications. The levers can be aligned forwards or rearwards. The cantilevered design gives you a better chance to achieve the perfect eye relief. Adjustments require no proprietary tools, standard flathead bolts can even be manipulated with a fingernail. American Defense products are manufactured in the USA. This mount is covered by a lifetime warranty against damage under normal use. It is very difficult to fault this mount on anything or to find a box which it does not tick. The top features are the proprietary levers and the tool-free adjustment. Unless you have some grudge against Milwaukee and anything from there, this mount is a very safe purchase. The top concern when buying a QD mount is the build quality. You need careful machining and tight tolerances to ensure that your scope will return to zero after it is removed and re-attached. Besides attention to detail, you need good materials and a good design. Start by looking for a manufacturer with a good reputation, but don't take it for granted that every model made by a big name brand will be good or suit your needs. The benefits in the strength of steel over high-grade aluminum are highly debatable. If you apply enough force to your firearm to cause a quality, aircraft-grade aluminum scope mount to break, you probably have bigger problems. Lugging a rifle around for extended periods can become a real pain, quite literally. Ounces add up to pounds, so opting for a skeletonized aluminum model isn't a bad idea. As for the lever mechanism, to a certain degree, this will be down to taste and things like hand size and the other components adorning your rifle. Some have adjustable bolts to tune the tension perfectly for your rail. Others will have good tension without the need for adjustability. Still others may just not quite work for you, your hands, or your rail. 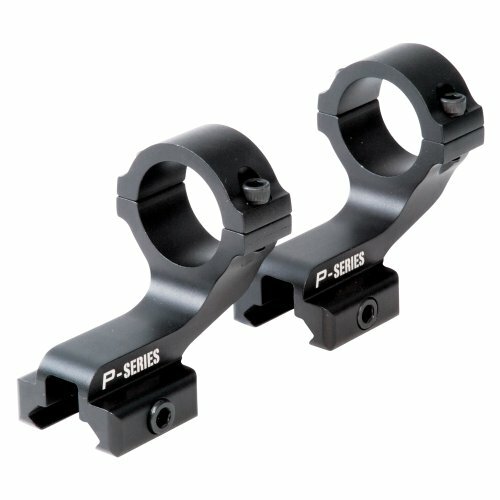 This should give you an idea of what the best quick-detach scope mounts out there are, and why they are the best. Scope mounts are a key component of your shooting system and not one to skimp on, so we hope that have gotten the utmost benefit out of this list.